The Iranian's pride in the nuke realm of the Velayat-e Faqih, do jets and Gar-Gar bridge compete too? What has JCPOA brought to the back country? The nuclear deal (JCPOA, Barjam), though wrapped with many promises, did not improve the daily lives of most Iranians, either economically or politically. Bragging is a dominant social behaviour in Iranian society. It is very much encouraged and practised today by the ruling Shiite elite. When an Iranian has no more rational argument in stock to defend his project, he invokes his “pride” in pursuing it at all cost, even if suicidal. This braggadocio justifies the erratic and illogical behaviour of the Islamic Republic’s men more than any other hard-line/moderate struggle among them. In fact, only the international media is keen on this struggle since it is easy to understand. For the blasé living in Iran, a mullah is a mullah even if seen in different shades. 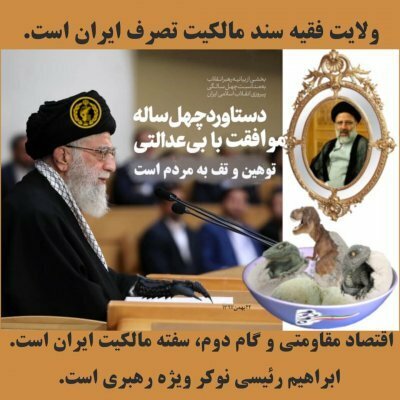 For him, the men in this theocracy are staunch followers of Islamic revolutionary dogmas and will not change to please the international wishes in any way. As Tehran’s autocrats push for more nuclear facilities and missile development, their costs in billions of USD soar. The Foreign Minister, M-J. Zarif, then talks about the “Iranians’ pride” in their implementations. We remain unconvinced by the Iranian despots on the peaceful aims of such facilities and developments. According to the Iranian Ministry of Energy, only about 2% of electricity produced in the country is from nuclear plants. Not much for decades of standoff with the West, and many – theatrical – international conferences. After the signature of JCPOA (the Nuclear deal) in 2015, the Iranian president, Hassan Rouhani and other officials signed dozens, if not hundreds, MoUs (memorandum of understanding) with major European companies and governments. The MoUs that made most headlines in the Iranian media were about buying aircraft for the busted airliner, IranAir. According to the Iranians, the Airbus industries were to deliver 118 aircraft to Iran within a month(!) after the signing the specific MoU in Paris. Nothing happened. Later, it was the Boeing’s turn to fly into the foggy Iranian political skies with some 80 passenger jets. It was soon a matter of bickering, in the USA and Iran. Surely, the first new aircraft painted for IranAir and landing in IKA airport, be it an Airbus or a Boeing, is not for tomorrow. The political pitfalls of buying new aircraft (both companies are under international and US regulations still to be clarified under various embargo conditions) occulted some pragmatic questions. Has Iran the appropriate airports for such futuristic fleet and the trained staff to operate it? What are the profile and the number of travellers? What is the business plan anyway? When asked, the Iranian officials were swift in arguing, once more, “the Iranians’ pride” in having a modern fleet to compete with the Emirates or the Etihad Airways. Reading the press articles in Farsi and hearing from people in Iran give another picture of the country’s affairs, I insist on considering “Iran”, the country, not just “Tehran”, from which what is published as news by the international media is considered as the Iranian reality. The following story was reported by the Mehr news website. 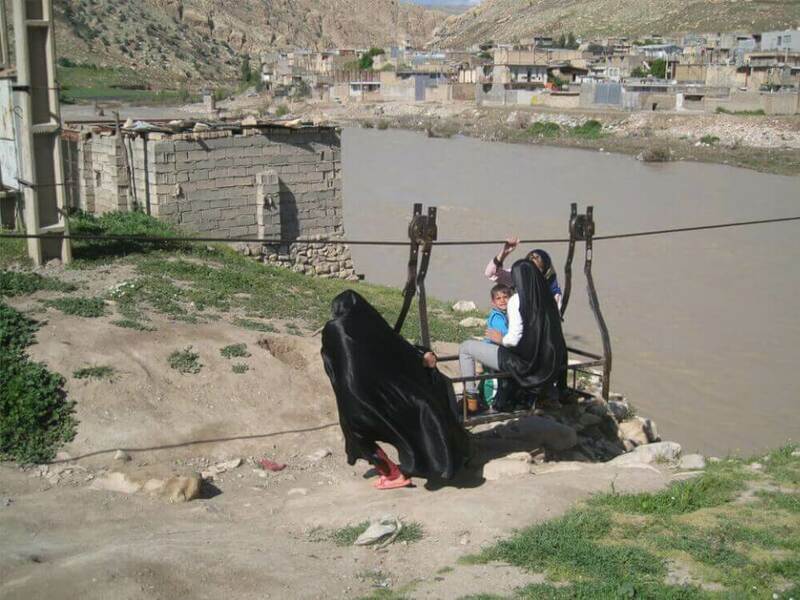 In the Lorestan province, a little bridge is much needed to cross the nearby river, Kashkan. However, in here, we will report it with our own words, borrowing the facts from the paper, reading and writing, as it were, between the lines of the original censored reporting. This will allow us to focus on one example among thousands, of the underdevelopment in the Iranian provinces. The story encapsulates the miseries that the locals face, but go unnoticed from the pundits in Tehran. The latter are unwilling to see beyond their noses, beyond the mosque’s four walls, and beyond their pride in possessing the nuclear technology and the jets, both developed in the despicable West, as they call it. The authorities have abandoned hundreds-of-thousands, if not millions, of souls in the provinces and the villages to their fate. The locals have gotten to know how to get by in life in a state so proud of preaching Islamic values. The bare fact is Tehran has no money to spend on the essential infrastructures of the country and does not give a toss either. Kashkan River is in the province of Lorestan, to the West of Iran. Its water is seasonal, large and torrential in late winter and spring, turning to a rivulet by late summer. 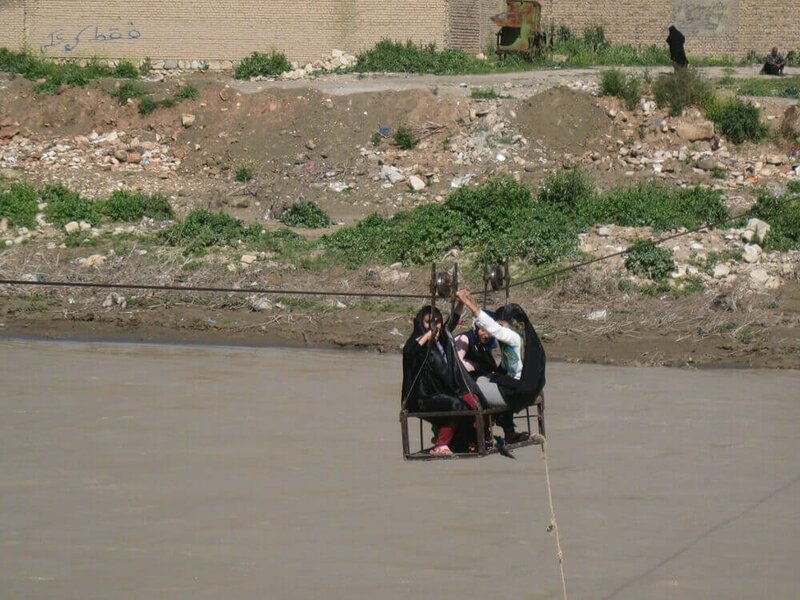 To access the nearby town and the centre of little economic activity, Pol-e Dokhtar, the Ebrahim-Abad villagers have to cross the river on a daily basis. Having a bridge to cross the river safely seems to be a very good idea. Today, it would cost the price of a couple of seats on an Airbus or a fraction of a nuclear centrifuge for Natanz. Presently, and for the past few decades, the population crosses the river on a Gar-Gar, a local word, transcribed rather pompously by the reporter in the original article as a “Tele-cabine”. The Gar-Gar is a makeshift single metallic structure used for transportation from one shore to the opposite side of the river using a cable and a couple of pulleys. However, building a basic bridge over the Kashkan river for the inhabitants of Ebrahim-Abad would bring no international prestige to H. Rouhani’s gang or the newly selected provincial “moderate deputies” to the parliament. The latter are too busy following the exciting society life in Tehran. They cannot care less for the safety of their fellow citizens left in the province and to whom they do not feel or have any responsibility whatsoever. As long as they lick the right boots in Tehran, they will keep their seats in parliament. The local mullah, a Velayat-e Faqih’s operative, is mildly hopeful that a bridge will be built, Inshalah, one day. He adds “this is not worthy of our Glorious Islamic Revolution”, as he would when scolding a naughty but so much loved child. How on earth would a minor bridge serving the needs of some hicks in the province bring prestige to Tehran’s grand ayatollahs? They are far too busy blaming women for their European-style dresses that cause the rivers to dry, testing new missiles, and expanding nuclear activities. Besides, they have to portray themselves to the world as the good guys in the Middle-East’s mess, and to wage cyber and proxy wars with the Saudis. These things take much of their precious time. Further, we shouldn’t forget their unshakable will in imprisoning political critics and dual nationals, also time consuming. In fact, this is not quite fair: the local officials have thought of something … or another … but “the physical progress of the project” [sic] has not been possible. Despite spending some real 17 billion rials in the past (equal to €426,000) on the “virtual” project. Thinkers needed money to think … about nothing. In the Islamic realm of the Velayat-e Faqih, appointing “Good Muslims” but totally incompetent men has led to too many local phoney projects, and only to a handful of erratic realisations, abandoned midway. Perhaps if Ebrahim-Abad was on some tourist route, for the sake of bragging, the Gar-Gar would have been replaced long ago by an eye-catching bridge covered with the finest ornamental tiles representing the Glories of the Islamic Revolution. Then money would have been no problem, as long as it would be serving “the Iranians’ pride”. Welcome to the Islamic Theocracy of Iran, a house of cards, proud to defy the whole world and give lessons, but incapable of building a bridge.